Quite excited - I've been drafting pants! And they work! So excited that had to tell somebody, which usually means mum, but it's 6 am in Singapore now and I'm sure she wouldn't appreciate a phone call just to talk about pants. I'm working on a project that requires properly-fitting pants. Will share later. I don't think I've actually drafted pants before, not that I remember anyway - just upper bodices and dresses. Pants are about one thousand times easier. Who would've thought? I certainly never knew, because I've always just traced around pants that fit well for quick working patterns. 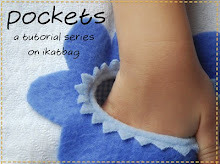 It's imprecise, but it works, especially for kids who wear everything loose anyway. Here are some photos of Muslin 2, which turned out to be a good enough working model to complete for real wear. Muslin 1 is under reconstruction to be turned into another wearable sample - hurrah for having left huge seam allowances to play around with! The color of this pair is actually a very pretty dark rose with a paler rose waistband, but it's a lousy photo, so it looks like red-and-fuschia, which it isn't. Do you like the waistband? I don't know that I will ever use regular elastic gathered in a casing again. This is so much more streamlined, and easier to make. Unrelated, I've been attempting to organize the blog, as some of you might have noticed. 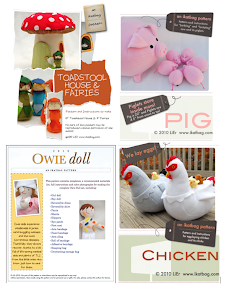 It will take some time, since the old blog is even untidier than my old sewing room was. So thank you for your patience while I work on it. Hopefully when it's done, everything will be easier to find. And finally, I am working on several projects now, but haven't been in the mood to blog much. Nothing wrong - just decided that the blog itself was so untidy that I couldn't look at it without feeling quite ill. Since organizing my sewing space, everything I look at now is vile and messy and horrible and needs to be cleaned up and ordered. Once a person slips into this kind of a mood, it can get dangerous. But check back soon for lots of tutorials! i like making dresses and shirts, but pants make me nervous even it's supposed to be the easiest! 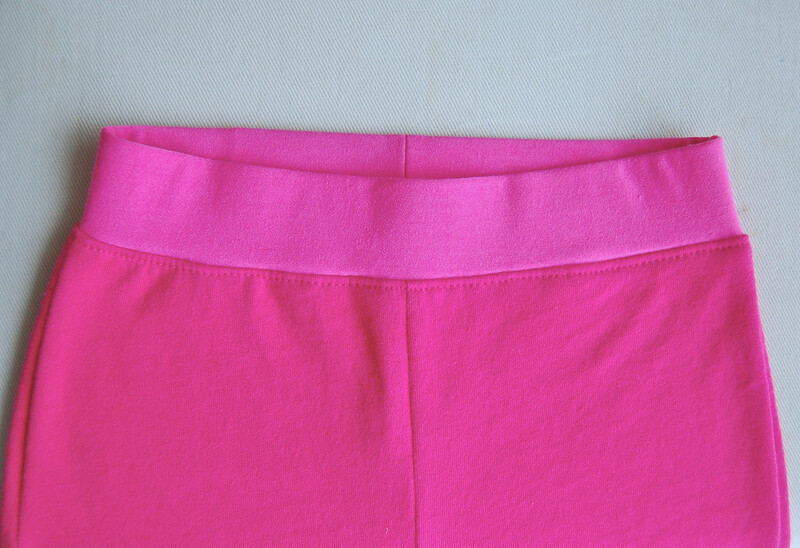 talk more about the waistband, please, because it looks so trim and finished, not all bunchy like elastic can look. I think you have Cleanitis which often strikes me after the holidays. I am prowling around my house looking for Messes and boy, stuff is getting PITCHED. And my poor pack rat husband is getting the evil eye multiple times a day. But ahhhhhh. It feels so much better! Pants are what I REALLY need to learn, and they are hardest to find to fit Emma especially! 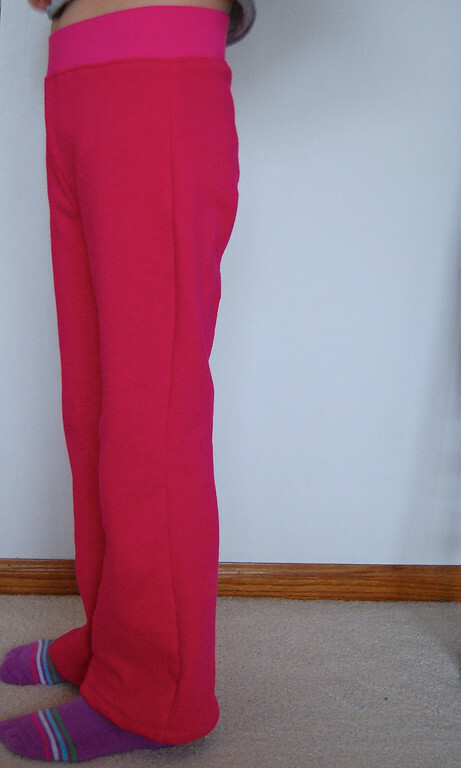 I do like the waistband - how did you make it? I think the waistband is great! Bet it's more comfortable, too. Pants are easy to draft? No way! Please share! Yes, I love the waistband, looks great and a little more sophisticated (if that's possible in what seems to be jersey knit pants) then an elastic one. I never noticed your blog being unorganized, I hope reorganization doesn't take up too much time so you can move on to tutorials! Lots coming up? Whee!!!!!!!!! Yes, Margo, it does feel good to declutter! Mel J: Honestly, I'm not planning a pants drafting tutorial.... yet. They're easy to draft, yes, but I haven't figured out how to teach it in a way that's simple. They're still too "by feel" to me right now to be able to do a tutorial that's anywhere helpful. And I'm still experimenting with the rules. Maybe later, after I've drafted more of them. And yes, I shall share how to do the waistband. I first saw it on someone's blog and now I've forgotten where it was. I can only hope that person reads my blog and can say "me! Me! It was my blog!" Thank you! I have been looking for just this sort of information (you possible tute on pants) for a couple of weeks now. I wanted to make myself Yoga pants which I know should be super easy but I am not shaped normally so nothing fits right and I want to make yoga pants that fit me just right. I love the waist band. That too is just exactly what I was thinking about. Someone heard my prayer! Thank you! I'm wondering about the waistband, too! so looking forward to more waistband information!